Epix movie - could it change the face of online movies? While online movie enthusiasts have been waiting for YouTube or Hulu to make the first move into free blockbuster movie streaming, it seems that the studios themselves have pipped them to the post. Epix is a movie-streaming site funded by Lionsgate, Paramount, and MGM. It hit private beta this week, and already looks set to be a game-changer in how movies are distributed over the net. Experts are dubbing Epix the 'Hulu for movies'. This is probably something Hulu itself would like to be, but its funding comes primarily from US TV companies. With the backing of movie studios who own the rights to movies like Cloverfield, Let There Be Blood and Iron Man, Epix is quietly setting up its stall as the place for HD movie streaming on the web. Currently there doesn't seem to be any plans for the site to open in the UK, but as we will see with Hulu's upcoming transition to UK shores, British web users would welcome Epix with open arms – even if parts of out internet infrastructure won't. With Epix, however, there does seem to be a bit of a catch. 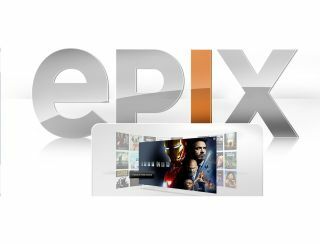 If the private beta trials are a success, the service will only be available to customers in the US who receive the Epix movie channel in their cable bundle. Once you have access to the channel, you will be able to watch the movies online for free, in six different bitrates – ranging from 720p HD to mobile phone quality. The makers of Epix are hoping to bring the movies out on the service weeks before they hit DVD, adding even more incentive to sign up to the service. Currently, Sky is offering a similar thing with its Sky Player package – users who sign up to Sky Anytime can enjoy movies adhoc via the online player but this all costs a premium, something the makers of Epix want to avoid. Epix is available now through private beta. Log on to www.epixhd.com for more details.